The recent update of GSTN portal with Simplified Returns suggests GST team’s earnestness towards simplification of tax filing. The simplified taxation forms are need of the hour, especially for small taxpayers. The 27th Council Meeting and 28th Council meeting paved the way for the reforms and now Sahaj, Sugam and Quarterly(Normal) will be on pilot basis from April 1, 2019 and will be mandated from July 2019. The taxpayer filing the return on a monthly basis will not be able to upload the details of documents from 18th to 20th of the month following the tax period. The taxpayer filing the return on a quarterly basis will not be able to upload the details of documents from 23rd to 25th of the month following the quarter. Only the recipient shall be able to report the supplies attracting reverse charge in GST ANX-1 (Outward supplies). Such supplies shall be required to be reported GSTIN wise. The amount of tax and taxable values will be the net of debit/credit notes and the advance paid (on which tax has already been paid at the time of payment). If supplies attracting reverse charge are received from an unregistered person, the PAN may be reported. All suppliers with an annual aggregate turnover of more than Rs. 5 crores and that in relation to exports, imports and SEZ supplies will upload HSN level data at Invoice Level. HSN code shall be reported at least at six-digit level for both, the goods and the services. Taxpayers with an annual aggregate turnover up to Rs. 5 crores shall have an optional facility to report HSN code in the relevant table or leave it blank. Tax amount shall be computed by the system based on the taxable value and tax rate. However, the taxpayer will be required to report the tax amount under cess by himself. The taxpayer will have to report place of supply (POS) mandatorily for all supplies. For intra-State supplies, the POS will be the state under which the supplier is registered. Supplies are reported as net of debit/credit notes, the values may become negative in some cases and the same may be reported as such. The document shall be uploaded and tax shall be paid along with applicable interest except in case of issuance of credit notes. The document shall be uploaded and adjustment of tax accounted for shall be made in table 3C(5) of FORM GST RET-1. However, in case of issuance of credit notes, the upward adjustment shall be made in table 3A(8) of FORM GST RET-1. 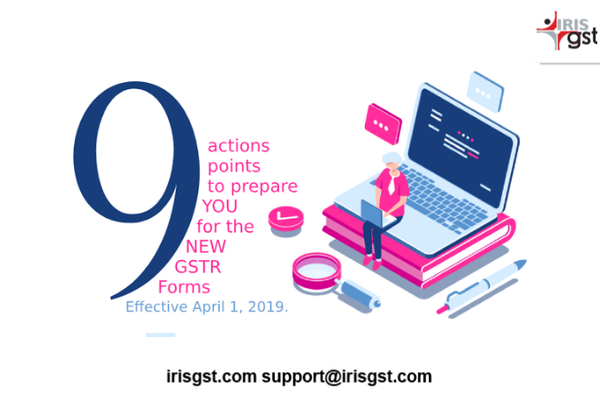 Uploading of the document shall not be required but adjustment of tax shall be made in table 3A (8) or 3C(5) of FORM GST RET-1, as the case may be. Liability declared in the return shall be discharged in full at the time of filing of the return by the supplier similar to how it is being done in the current return FORM, GSTR 3B. In cases where the supplier files no return after uploading of the invoices, it would be treated as the self-admitted liability by the supplier. For which, recovery proceedings will be initiated against the supplier. In case of credit claimed on missing invoices by the recipient and such missing invoices not being uploaded by the supplier within the prescribed time period, input tax credit availed in relation to such invoices or debit notes will be recovered from the recipient. Facility for locking of invoice by the recipient is available before the filing of the return by him. However, it may not be possible to lock individual invoices where the number of invoices is large. In such a situation, while filing of the return by the recipient, all invoices shall be deemed to be accepted except invoices kept pending or rejected by the supplier. iii. The recipient is not able to decide whether to take ITC for the time being. The recipient shall report pending invoices and no input tax credit shall be availed by the recipient on such pending invoices.